The triumphant return of our signature melodic pop talk show, Pure Pop Radio: In Conversation, is happening tonight, Tuesday, August 11, at 7 pm ET (4 pm PT). 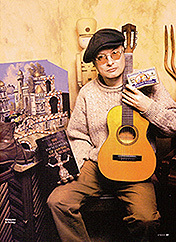 We’re looking back to May 3, 2005 when our wide-ranging interview with XTC’s Andy Partridge first aired. Andy talks with Alan Haber about his career with the band and his mammoth collection of demos and orphaned tracks contained within the Fuzzy Warbles series, plus a whole lot more. This two-hour show, which will repeat this Sunday at 5 pm ET (2 pm PT), is one of the most popular we’ve ever aired. Andy has no shortage of great stories or opinions, which makes for a lively discussion that will surely delight XTC and Partridge fans. A few songs from the band and Andy’s solo years will be heard during the program. For more interviews with both current and heritage pop artists, visit the Pure Pop Radio: In Conversation PodOmatic podcast page. More than 60 interviews are on hand to listen to and/or download, with more on the way. Click here to be magically transported. Pure Pop Radio: In Conversation airs Tuesday nights at 7 pm ET (4 pm PT) and repeats on Sunday afternoons at 5 pm ET (2 pm PT). New interviews with your favorite artists are coming soon. 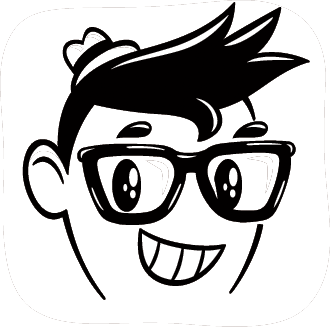 Stay tuned to this website for news you need to know about future episodes! This entry was posted in Pure Pop Radio: In Conversation and tagged alan haber, andy partridge, inteviews, pure pop radio, Pure Pop Radio: In Conversation, streamlicensing, xtc. Bookmark the permalink. Premiere Week Continues With More New Music and Artists Added to Our Playlist. Dig in!